The venture capital fund sputtered from the start, with questions about conflict of interest in its investments. As of last week, mbloom, a Maui-based technology fund for early-stage startup companies that was partially funded by the state’s taxpayers, is no more. In early May, Devon Archer, one of the fund’s two investors, was arrested after being charged for securities fraud related to an alleged scheme involving a Native American Tribal bond offering. When news of that arrest made it to Hawaii, the other investor, the state’s Hawaii Strategic Development Corporation moved quickly to protect taxpayer funds and end mbloom’s long and bumbling story. News of HSDC’s plan was released via email late last Friday. Lauren Primiano, mbloom’s former entrepreneur in residence, said Monday that mbloom Ventures LLC was no longer affiliated with mbloom Fund I, LP. She also stated that the fund’s remaining manager, Arben Kane (formerly Arben Kryeziu), resigned recently, leading to the fund’s collapse. Arben Kane (formerly Arben Kryeziu), resigned recently as mbloom’s one remaining manager. Nick Bicanic, who launched mbloom with Kane and co-managed the fund, quietly and abruptly departed both mbloom and Hawaii in 2015. Primiano said a new entity, Reef Capital Ventures, is the new general partner and the fund has been renamed Reef Fund I. Primiano is managing the fund, although no new investments will be made. Mbloom began as a Hawaii-focused venture capital fund using $5 million from HSDC’s taxpayer-financed HI Growth Initiative and $5 million in matching funds from Archer’s firm, RSTP Capital. Mbloom’s standing in Hawaii’s tech and startup community quickly took a dive when their first two investments were to Flikdate and Ozolio, companies run by Kane and Bicanic. The investments caused a stir in Hawaii’s tech community, with accusations of fraud at worst and conflict of interest at best. The controversy centered on the impression that Hawaii taxpayer dollars were funding questionable investments. Suspicions were further raised recently when news and lawsuits related to Kane’s current company, Code Rebel, started to appear, including an investigation by the SEC, a halt to trading of their stock, and an eventual bankruptcy filing. As time passed and more not-so-great news appeared, mbloom was never able to regain its footing. Its reputation was permanently tainted, and the disappearance of one co-founder and the troubles at the other’s business further stoked the suspicions. But where some in the tech community smelled smoke and expected—almost cheered for—a nuclear explosion, the reality is less exciting. Mbloom’s demise was more of a smoldering ashtray of missed opportunities and mishandled communications. HSDC’s mission is to support Hawaii’s innovation economy. 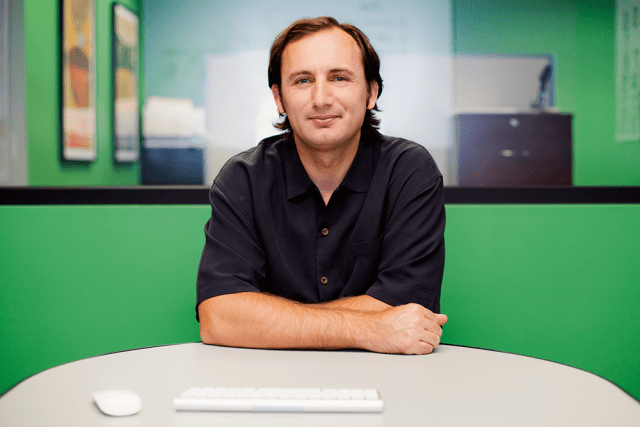 When Karl Fooks, HSDC president, launched the HI Growth Initiative in 2013, a component of the plan was to provide startup investment capital to venture investors. One primary requirement was that the fund’s managers had to bring in matching funds equal to HSDC’s investment. At the time, those matching funds looked promising, especially considering the source. Devon Archer had been an advisor to Secretary of State John Kerry, and had roomed in college with Kerry’s stepson, ketchup heir Christopher Heinz. Archer had business connections with Hunter Biden, son of Vice President Joe Biden. He was also willing to invest $5 million knowing that half would be dedicated to Hawaii startups. Another requirement attached to HSDC’s money was that its contribution had to be invested in startups located in or with strong ties to Hawaii. That proved to be a tall order for many investors, what with Hawaii’s nascent tech sector in 2013. Archer’s money was a big infusion from a reputable investor, and Kane and Bicanic had good track records. It was a no-brainer. Once mbloom was up and running, it made its infamous first two investments in companies run by Kane and Bicanic. Hawaii’s startup community quickly raised questions — and pitchforks. Bicanic likened the accusations to “vitriol,” but he didn’t do much to prove his startup or investing acumen. Bicanic was CEO of Maui-based FlikDate, which developed a dating app. Kane was FlikDate’s Chief Technology Officer. The company reportedly raised $350,000 in venture funding, most likely all from mbloom. In mid-2014, FlikDate underwent a “reverse merger” with a money-losing company named Crossbox. A reverse merger is a way for a private company to quickly go public. Rather than having to jump through the regulatory hurdles and investor roadshows, a private company is acquired by a cheaply-valued public company, making itself instantly a publicly traded company. The acquiring company disappears and the formerly-private company is now public. It’s not uncommon, and it’s completely legal. Half a year later, the company, now known as FlikMedia, announced explosive growth, but soon after saw its stock price tumble by half. As it racked up losses, FlikMedia never reported any revenue and saw its stock price drop to its current price of under 2 cents. Today, with zero assets and zero cash, it’s essentially dead. What adds to the intrigue of FlikMedia was Bicanic’s quiet disappearance from both mbloom and Hawaii. Sometime in early 2015, all traces of Bicanic were removed from mbloom’s website and Bicanic removed mbloom from his resume on LinkedIn. With roughly two years at the helm of a venture capital fund, expunging it from a resume — especially for someone in the tech world — was highly unusual. He does still list FlikDate, however, and lists his current location as Los Angeles. Mbloom’s second “related party” investment, as it is called, was in Ozolio, a developer of live video streaming software. Kane was Ozolio’s founder, but he resigned from the company in May. The company still operates from Maui. Kane left Ozolio as his other company, Code Rebel, became embroiled in lawsuits and an SEC investigation earlier this year. The announcements and subsequent bankruptcy and resignation of all executives of Code Rebel further snuffed out whatever reputation mbloom retained, at least in the eyes of many in Hawaii’s tech community. Bicanic could not be reached for comment. Fooks, as mbloom’s benefactor, also felt the negativity. “The unwelcome attention from the beginning altered the direction of the fund,” said Fooks, adding that every subsequent story about mbloom focused on the negative news of its management, not the six other investments mbloom had made, four of which were to Hawaii-based companies. With both of mbloom’s managers out of the picture, the fund’s only private investor under arrest, and the specter of more bad news, Fooks decided it was time to start over. Fooks quickly scrambled to salvage HSDC’s investments that were already made, while retaining the ability to support Hawaii’s startup ecosystem. Fooks said that another investor was found, an associate of Kane’s. The plan was to have that investor, whom Fooks wouldn’t name, take over Archer’s stake and future commitments to the fund. That happened, but as Kane’s interest in Hawaii faded, so did the other investor’s. Now, as the fund’s only limited partner, HSDC assumed ownership of all equity in the eight startups, effectively doubling its holdings overnight. That investor agreed to relinquish his claims to any previous investments, turning his shares back to the fund. Now, as the fund’s only limited partner, HSDC assumed ownership of all equity in the eight startups, effectively doubling its holdings overnight. With the mbloom name now toxic, HSDC decided to end the fund and create a new fund, Reef Capital, run by Primiano. But with no new investments to be made, Primiano’s sole responsibility is to help the portfolio succeed. Fooks went on to say that “this was something that needed to happen” but that it has taken some time to resolve this situation. The Reef Capital Ventures portfolio, now accounting for approximately $3 million in mbloom investments, consists of 8 companies: AreaMetrics, Fanhandle, FlikMedia (essentially dead), Ozolio, ReadyCart, ReIssued (confirmed dead by Primiano), Vantage Sports, and an “undisclosed company in stealth mode”. Fooks added that, since no new investments will be made, they hope to use the remaining committed funds to support the existing portfolio, should any seek additional rounds of funding. If no additional investments are required, the money could eventually be used by HSDC to support other startup initiatives. Risk capital is called that for a reason. For every billion-dollar exit there are thousands of startups that fail. It’s important to point out that none of the money managed by mbloom was lost, and the nature of venture capital is to take small risks on many startups hoping for big returns from a tiny few. As Fooks mentioned, risk capital is called that for a reason. For every billion-dollar exit there are thousands of startups that fail. Fooks added that, while the investor was real and a term sheet was under review, the deal fell through, as many often do. 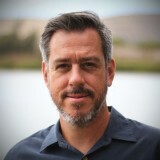 Jason Rushin has nearly 20 years of experience in software marketing, consulting, and engineering, and currently works as a marketing consultant for high tech clients, both locally and in Silicon Valley. Prior to relocating to Hawaii in 2010, he led marketing at several Silicon Valley software startups. Once in Hawaii, he launched and subsequently sold his own startup, and has been an active supporter of Hawaii’s small-but-growing startup ecosystem. Jason holds a BS in Mechanical Engineering from University of Pittsburgh at Johnstown and an MBA from Carnegie Mellon University.